BC Ferries has won the Shippax Retrofit Award for completing the conversion of a large passenger ferry from diesel to liquefied natural gas (LNG). The award, received last month at the Shippax Ferry Conference, recognizes the innovative work performed on the Spirit of British Columbia, which is among the largest passenger ferries ever to be converted to natural gas propulsion. It is also the first passenger ferry in the world to refuel LNG via delivery on a fully-enclosed vehicle deck. The Spirit of British Columbia’s conversion to LNG took place during its scheduled midlife upgrade between the fall of 2017 and early 2018, at Remontowa Shiprepair Yard in Poland. 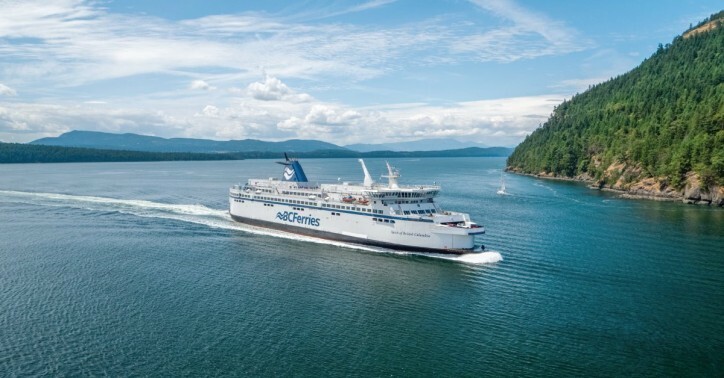 The ferry’s sister ship, the Spirit of Vancouver Island, completed its upgrades and natural gas conversion a few weeks ago, and will re-enter service between Victoria (Swartz Bay) and Vancouver (Tsawwassen) this spring.